Come and join us at one of out exciting Open Golf Tournaments. An excellent day out at one of the County's premier golf courses. A warm welcome awaits you at Woodbridge Golf Club. Entry forms will be available from 1st February 2016. This is one of the oldest open competitions in East Anglia, and as a prestigious event on the county's golfing calendar is part of the Suffolk Order of Merit. It is open to members of affiliated clubs in Suffolk, Norfolk, Essex and Cambridgeshire. The handicap competition for the Eastern Counties Cup was held for the first time in 1897. It is played over 36 holes with a handicap limit for men of 12. There is also a scratch competition for the Eastern Counties Salver. The entry fee is £50 per person, including lunch. 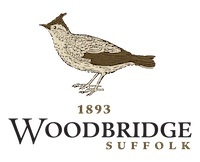 Co-organised by the Rotary Club of Woodbridge, this annual event is a great way to get to play BOTH of Woodbridge Golf Club's courses, with some terrific prizes on offer and raise money for three local charities at the same time. The Mixed Open makes a welcome return for 2016. The Fourball Betterball event will be played over the Heath course. Handicap limits 20 for men and 30 for ladies. Thursday 4th August 2016 Ladies' Open There is always a warm welcome at Woodbridge for the ladies. The Heath Course is a real challenge but with the Fourball Betterball Stableford format played over 18 holes, there is plenty of fun to be had. There is an 'active' handicap limit of 30. Tuesday 9th August 2016 Seniors Open Introduced in 2013, this Fourball Betterball Stableford competition played over 18 holes is a big hit. It is for players aged 55 and over, with a handicap limit of 28 "active". Last year's event was fully booked, with a waiting list.